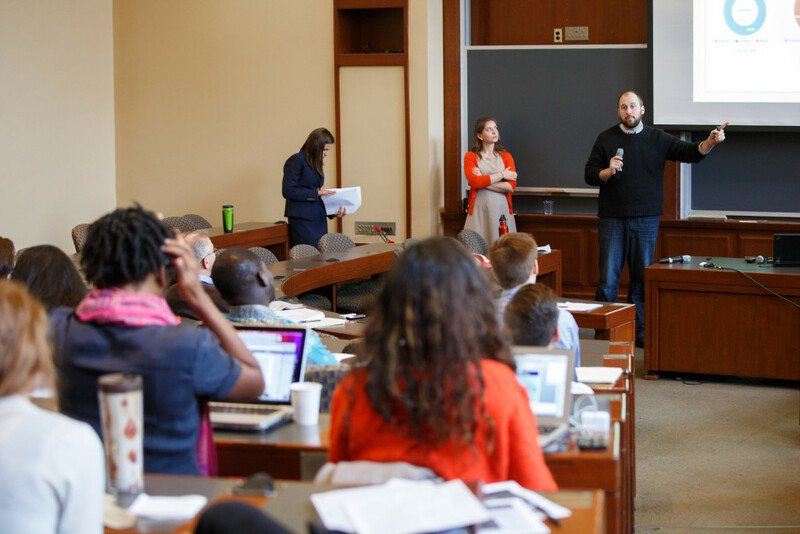 Last year, HLS Professor Jon Hanson and Jacob Lipton ’14 launched a new venture,the Systemic Justice Project, intended to provide students with a new way to think about the role that law and lawyers play in society. 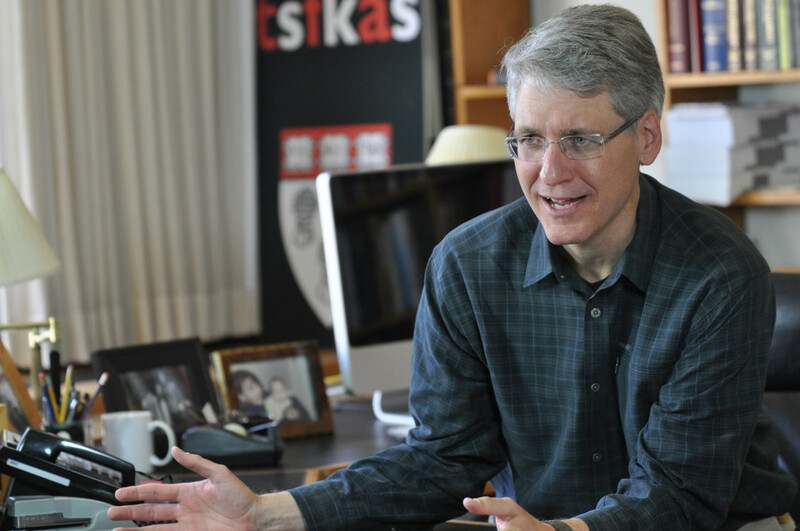 According to Hanson and Lipton, the persistence of long-standing policy problems suggests that the legal system and conventional legal education are broken. One contributing factor, they believe, is the way both law and law school tend to insulate their participants from many of those problems. Another is that legal academics, operating within traditional doctrinal and theoretical silos, have yet to develop a thoroughgoing approach to understanding and addressing such policy challenges. The mission of the Systemic Justice Project is to help remedy those shortfalls. In their new courses, for instance, Hanson and Lipton are attempting to teach law students how to approach systemic injustices and to see themselves in broader terms—not just as lawyers, but also as citizens, policy designers, policy advocates, and social activists. On April 10, the first annual Systemic Justice Conference was held in Austin Hall and featured six teams of HLS students who demonstrated how public-policy problems might be addressed from this broader perspective. The team participants were the 30 students enrolled in the Justice Lab, a two-credit course in which students—in consultation with scholars, lawyers, and activists—develop policy papers analyzing social problems and coming up with possible solutions. Presenting the results of their research, one group examined the problem of “financialized courts,” a trend that has drawn increasing attention since the revelations of Ferguson, Mo.’s heavy reliance on court fees and fines to fund its municipal budget. Plotting what has become a typical sequence, team members showed how a simple stop-sign violation can escalate into thousands of dollars in subsequent fees and fines for nonpayment—and even jail and probation, both of which also involve fees. 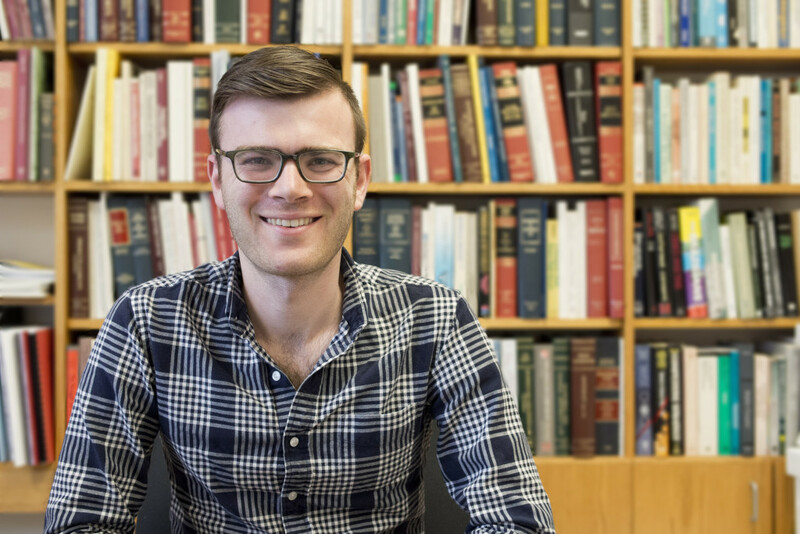 Team member Alex Self ’16, reported that the practice of charging detainees and defendants is an apparent offshoot of a larger trend. The team recommended a multi-level response to halt or ease the practice, including litigation, public-education campaigns, and legislation. 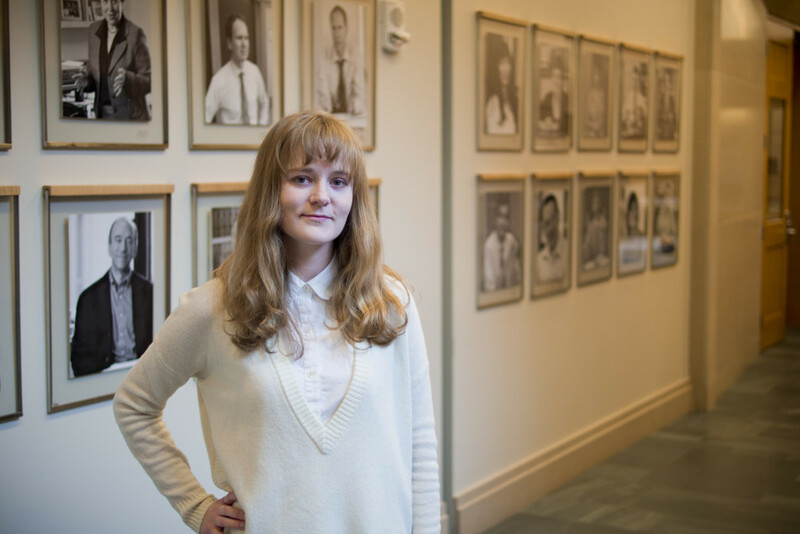 “We believe that before we can fix student debt and higher education generally, we really need to decide and understand for ourselves why education matters to us in the first place,” said team member Salomé Viljoen ’16. Another team’s interest was climate change, focusing on the question of why society has not come up with a plan for combating it. Much of the presentation examined the strategies employed by the fossil-fuel industry to deflect attention from that issue and how that might be addressed. For instance, the team suggested, the powerful lobbying influence of the Chamber of Commerce on this issue could seemingly be countered by other business interests. “You could imagine there could be a group of businesses coming together to support sensible climate-change policy, not just as good citizenship but as thoughtful, careful business investment,” said team member Jessica Ranucci ’16. In addition to the team presentations, the conference included a showcase of exhibits from the 67 students who are taking Hanson and Lipton’s four-credit Systemic Justice course—pamphlets, podcasts, posters, websites, etc., dealing with social problems. Sam Wheeler ’15, a member of the climate-change team, said he thinks that becoming involved in the Systemic Justice Project may prove to have a profound impact on his life. Wheeler said he came to law school because he wanted to do legal work in the public interest but had become disenchanted and thinking about changing to a non-law career.